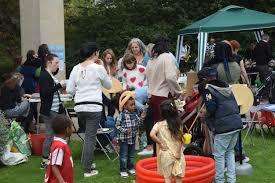 Come and see us at 4ALL's Autumn Community Fair on Saturday 22 September in West Dulwich. This is a great chance to stock up on beautiful handmade clothes, jewellery, cakes and bread, pick up some new plants and meet some amazing organisations working in the local community - including St Michael's! There's lots of delicious, reasonably priced food for all the family and a whole range of activities for children.